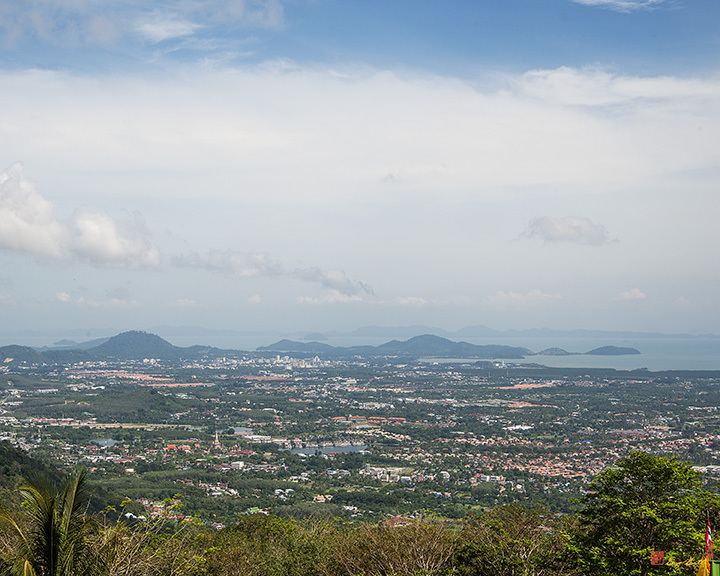 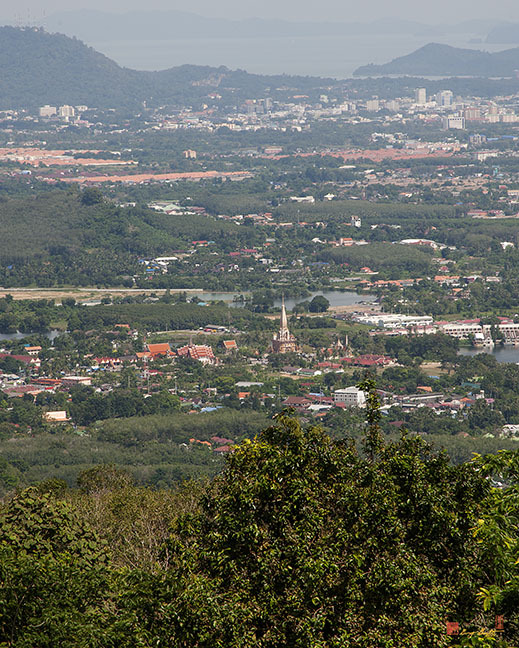 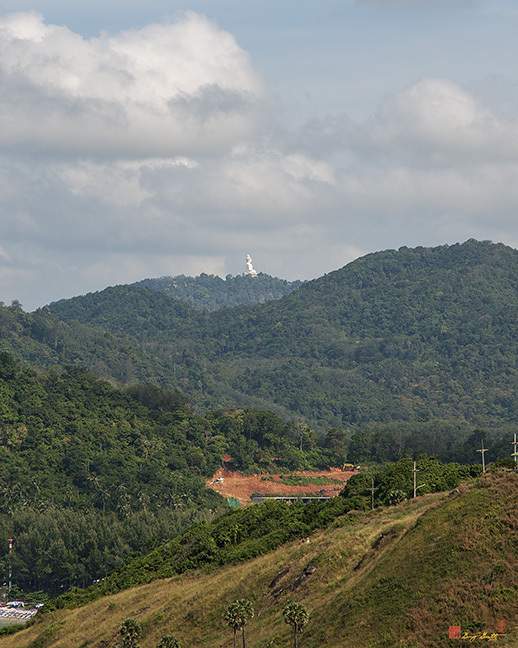 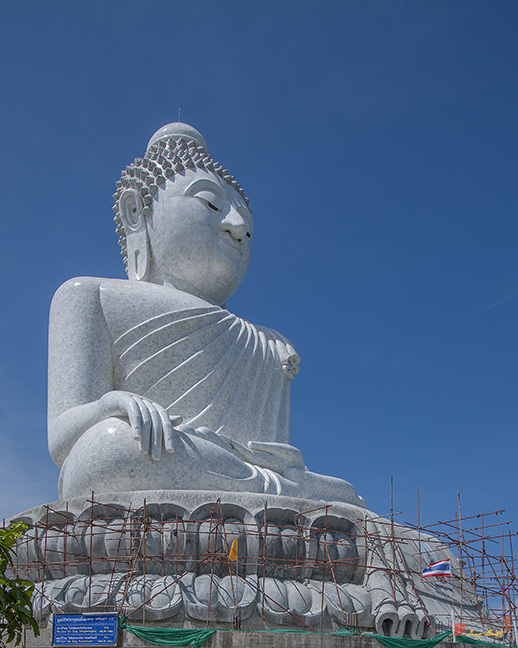 The Big Buddha of Phuket, พระพุทธมิ่งมงคลเอกเนาคคีรี, (Phra Phutta Ming Mongkol Akenakiri or Ming Mongkol Buddha), is located on the peak of a mountain near Mueang Phuket, or Phuket Town (เมืองถูเก็ต) on Phuket (ถูเก็ต), Thailand. 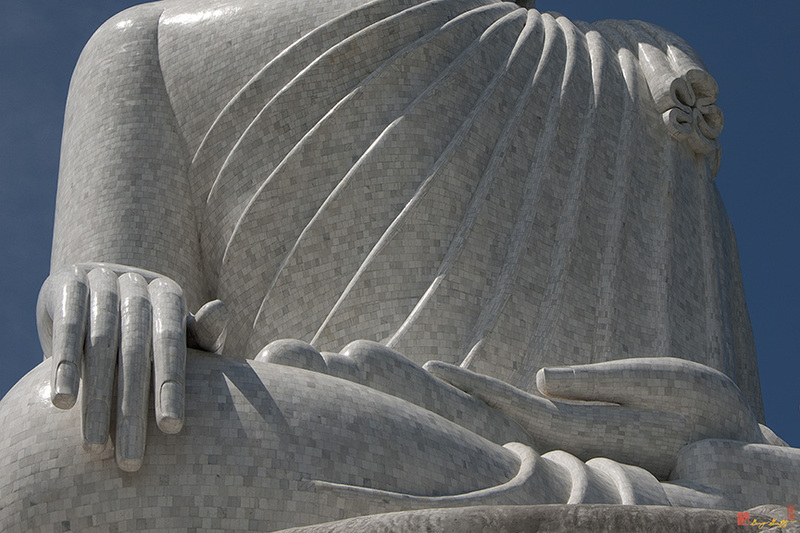 The image is 45m in height and covered in white Burmese marble. 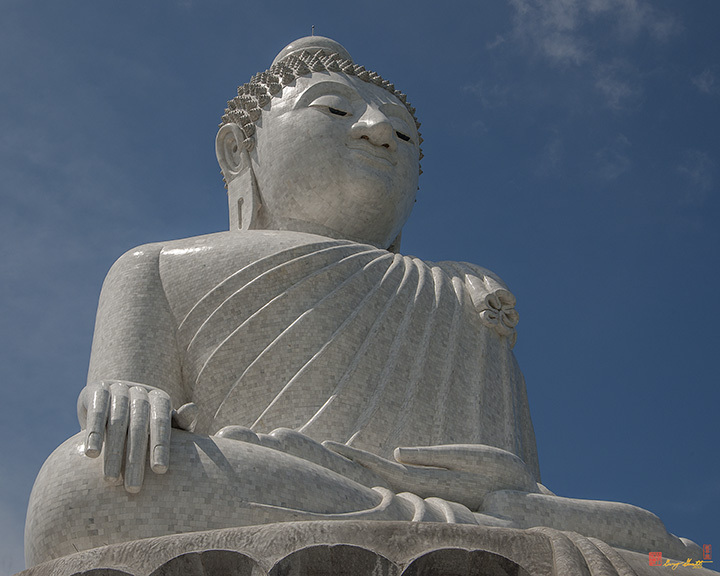 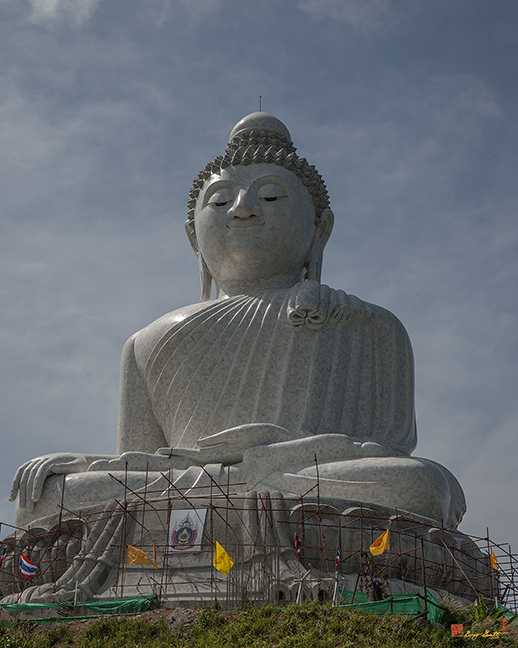 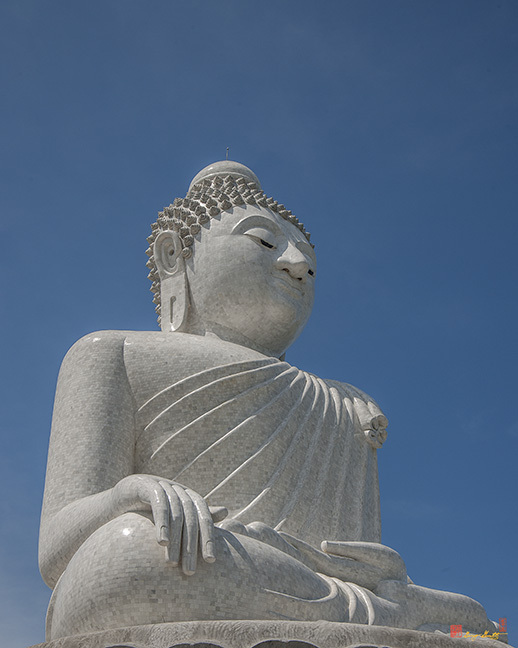 Big Buddha of Phuket is dedicated to HM King Bhumibol Adulyadej in honor of his 80th birthday. 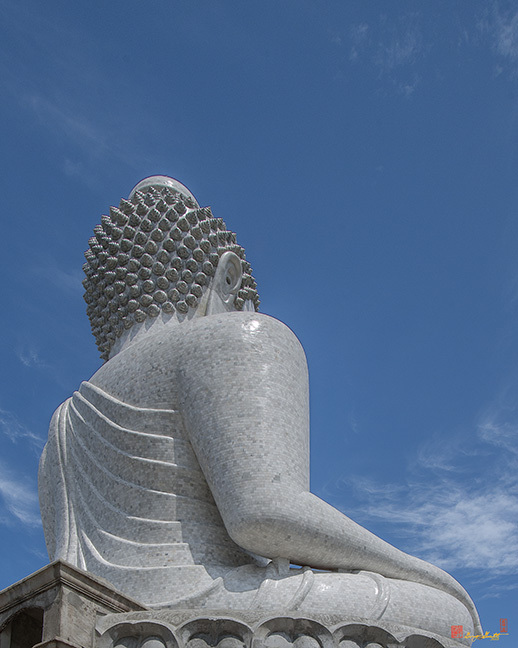 At the time these photos were taken, the lotus throne had not yet been sheathed in marble. 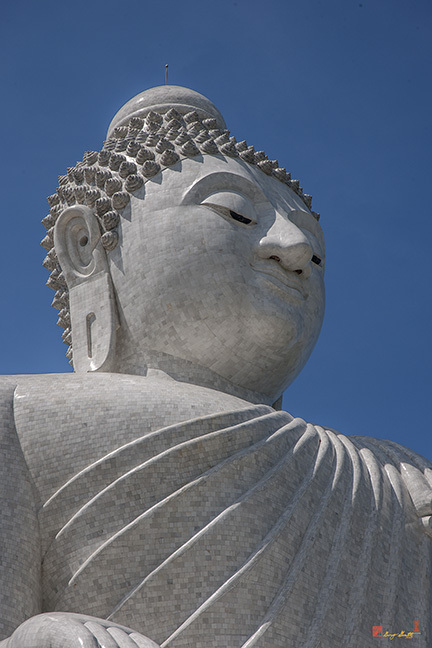 Wikitravel article (fairly far down on the page).